Tch-aron, Kh-aron, Sh-aron, spelled with a Ch- (like the largest of the five known moons of the dwarf planet Pluto, like the underworld ferryman of ancient Greek myth): I never knew how exactly to pronounce the name of the self-professed self-help guru I worked for, the year after I graduated from college. I earned a small percentage of the vast sums her clients shelled out to hear Charon’s Book of Life vs. Death proclamations. Her assurances that, yes, they’d bear children at fifty-seven if they wanted it enough. Their triple hernia could heal without surgery, as long as they followed her fifteen-step protocol. Their traumatically-brain-injured, blind-since-birth, middle-aged son would read for the first time—even complete a simple Sudoku puzzle—as long as they attended appointments (or at the very least, participated in Skype sessions) on a strict five-times-a-week schedule. Making their health their Monday-through-Friday job, Charon liked to say. I was never, ever sure how to pronounce her name, so I tried to avoid saying it altogether. I worried I’d get it wrong, but I was driven, also, by a more ancient fear. A child’s fairytale belief that saying her name once, twice, thrice, might summon a killing maw, a howling vortex—swift and exacting in its punishment. Like her underworld counterpart, who impassively bore dead souls across the Rivers Styx and Acheron (unless they were unable to pay their passage, in which case they were doomed to wander the shores for eternity), Charon was darkly obsessed with money: constantly finding new ways to accuse people of stealing, of owing more than they’d paid, of owing interest, even. Her bright, round, childish face could change in a heartbeat to a death-mask of rage. Her false, painted-on smile seemed endlessly on the brink of peeling back to reveal something acid and seething beneath. At first, I took everything personally. Something about me must rub Charon the wrong way, I thought. No matter how closely I adhered to her long list of office protocol, there was always one light I’d failed to turn off, one droplet of water left on the counter of the kitchen sink, one crease on one pillowcase on one pillow on one massage table I’d failed to smooth away with military precision. 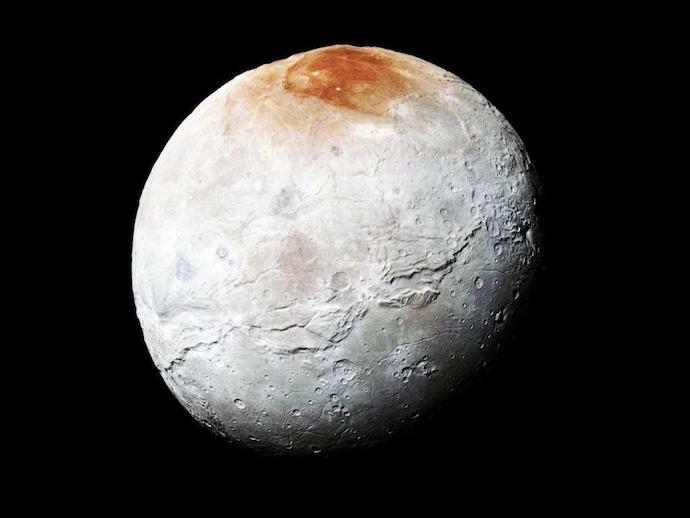 But as time went on, I came to understand that I was but one tiny, lesser moon in Charon’s dark orbit. She treated her clients with condescension, playing on their insecurities, bullying them into buying expensive supplements: pills and tinctures ordered from once-New-Agey websites that had recently undergone web makeovers. Nature.net and iHerb.web now redirected to slick spaces called PrimalLab.com and EssenceInsitute.org. They sold products with names like Spastix and Dysphorosphex: 99.9% successful in curing afflictions ranging from autism to Alzheimer’s to psychotic depression! the claim went. Charon marked these products up 500%, announcing the laughably obscene charges without batting an eyelash. If her clients demurred, she broke them down emotionally, her impeccably made-up eyes opened wide in a pantomime of empathy and interest. A frail, hippyish, doe-eyed acupuncturist named Chandra shared our office space. One day, Charon accused her of stealing clients. She spun in her swivel chair and read from a lengthy, single-spaced document detailing how Chandra owed a backlog of thousands of dollars Charon herself could have earned, had these patients been hers. When Chandra managed to stammer that it was impossible—her patients were friends-of-friends; former classmates from Kalamazoo—Charon proceeded to take her down. Apparently Chandra’s troubled quest had led her far and wide: to vast windswept mountains in Peru; to the sandy, sweaty tents of Burning Man. She’d placed herself in the hands of so-called shamans and priestesses, ingesting substances ranging from ayahuasca to ketamine to GHB, in an attempt to achieve enlightenment—or, at the very least, the ever-elusive state of “being cool with it” desperately sought by innumerable individuals throughout time, many of whom fit Chandra’s exact physical/emotional profile and Myers-Briggs Personality Type Indicator Test™ results to a T.
Chandra had clearly shared this story with Charon in confidence—perhaps a last, ditch effort to retain an image of other women as sisters and confidantes—not the seething succubi of her husband’s midnight wanderings. Charon recounted this tale in loud, ringing tones, using it as proof of Chandra’s lack of moral credibility and attraction to dissolute lifestyles. It was many months more before Charon came after me for real, with her telltale, sugar-venom lure of “oh, hey, do you have a second? There’s something I want to discuss…” By that time, I could smell it on her: her hunger for weakness, her need to dig up a false charge, a trifling debt. One that may have started out a penny here, a penny there, but had been quietly accruing interest for years. Anything to keep me forever wandering the shores of the River Styx. Alyssa Proujansky has studied fiction in Ithaca, London and New York. She was recently a runner-up in contests held by Atticus Review and Psychopomp Magazine, and a finalist in Third Coast‘s 2018 Fiction Contest. Her work appears or is forthcoming in Passages North, Third Coast, Columbia Journal, Hobart, Moon City Review, Atticus Review, Psychopomp Magazine, Flock, Lunch Ticketand elsewhere. Her website is www.alyssaproujansky.com. « Book Album Book: Parquet Courts, Wide Awake!